Searching for the quickest & most effective healing & clearing methods to release your past life ancestral soul programs and subconscious patterns? You have found the right place! I believe in “Divine Destiny”, and that there are no mistakes. I have been spiritually inspired to offer “Divinely Different” Spiritual clearings & Healing for Years. 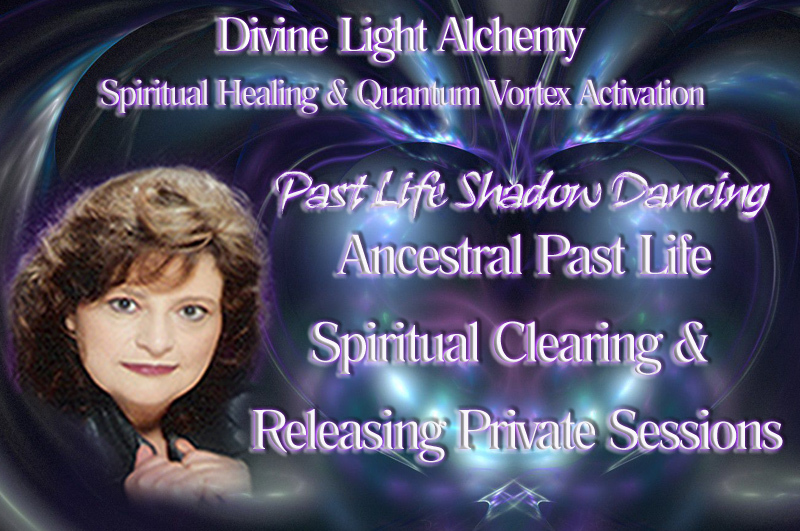 Releasing Past Life Ancestral Programs, Beliefs & Contracts is My Speciality! Our unique blending of ancient vibrational & spiritual healing methods, include all ancestral past life disentanglement, deleting, clearing, peacemaking and a total reintegration and realignment. The Divine Light Alchemy of modern Matrix Energetics, Quantum Vortex, Theta Healing, along with Advanced Chakra Therapy & Yuen Mastery/Chinese Energetics, along with the infusion of our Scalar matrix energy, catalyzes rapid clearing of stagnant, depleting energies and recalebrates the subtle energy bodies. Some compare it to installing a new software system for the soul! Knowing that researching a person’s Akashic Soul Records to identify & quickly release discordant energy patterns, past and present life traumas, subconscious blocks and negative soul programming, which are the root cause of most present life issues and challenges, has the potential to dramatically change all areas of a persons life. I am always seeking out and learning the most powerful healing systems on this planet and beyond. This is why my Spiritual healings have become a Very Unique Specialized System of “Divine Light Alchemy Transformational Clearings. What is so unique with a session with Debi Rose? 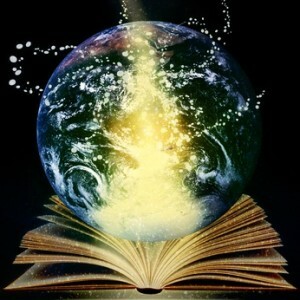 Just imaging, with the synergestic blending of all of them, & the transformational session you will receive! So, how does it get better that that? 2. I do all healing & clearings from within my “Divine Light Alchemy” Scalar Matrix Pyramid Chamber. It is the ultimate Quantum Energetic experience. What else is possible you haven’t imagined? All of the sessions are energetic in nature and do not require that we have physical contact during the scheduled appointment time. It does not matter where you live, even if you are half way across the world, since I will be connecting via what quantum physicists call the unified energy field, and petitioning the universal source and the quantum entanglement on your behalf. 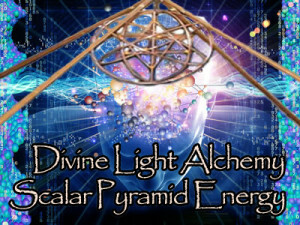 I will be in my “Divine Light Alchemy” Matrix Pyramid, during our scheduled call, accessing a very dynamic “Quantum State” and remotely connect to your energy body to perform spiritual scanning, enabling me to perceive discordant energetic blockages, soul contracts, programming and all levels of subconscious patterns established in your past lives. Once discovered, if no other research is required, I proceed to disentangle, delete and clear everything. I have found that the “One on One” phone session to be preferable to the webinar format, since you receive a more personal individualized healing & clearing without any distractions or interference. As we talk during our call, I continue to check for energetic weaknesses, often prompted to ask for additional details, to enable us to uncover the root cause of your problem. Although our phone session is for 30 to 45 minutes, I often tell clients to allow some extra time in the event your issues require additional time. I am committed to you receiving the most beneficial experience. Please note, my sessions includes ONE phone call only. I am passionate about facilitating Change in whatever area in your life, and I know if you resonate to working with me, we will shift your reality. This Level of Spiritual Clearing, Releasing and Transmuting enables you to begin choosing from question, which opens up more choices to create more possibility in your life. How does it get better than that? What do you want to change in your life? If you are ready to finally clear and release all of the old baggage, soul programs and patterns that have kept you stuck in a frustrating loop, with my unique “Divine Light Alchemy” Magical Transformational Sessions, I know you can create all of the changes in your life that you desire. Together let’s discover what else is possible!!! You must be 21 years or older to schedule a session with Debi Rose Catalano.